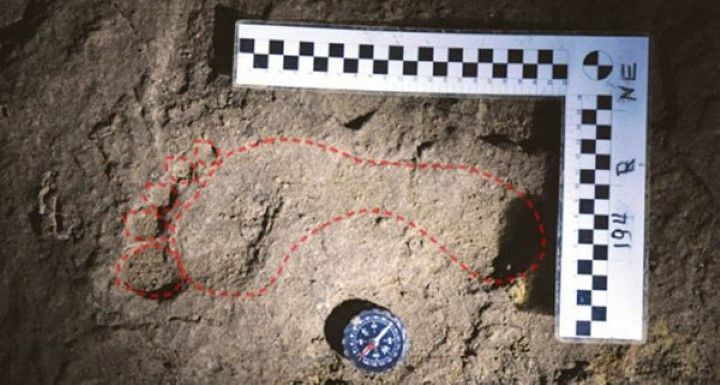 A new study published in the American Journal of Physical Anthropology has revealed that ancient human footprints found in a Romanian cave and initially believed to be 10,000 to 15,000 years old, are actually more than 35,000 years old. In 1965, Ciur-Izbuc Cave in the Carpathian Mountains of Romania was found to contain about 400 ancient human footprints. At that time, researchers believed the footprints were made by a man, woman and child who used the cave approximately 10 – 15k years ago. They were initially dated based on their association with cave bear (Ursus spelaeus) footprints and bones, and the belief that cave bears became extinct near the end of the last Ice Age. Since their initial discovery, most of the footprints and archaeological traces of the cave bear have unfortunately disappeared following an influx of cavers and tourists eager to view the ancient footprints. 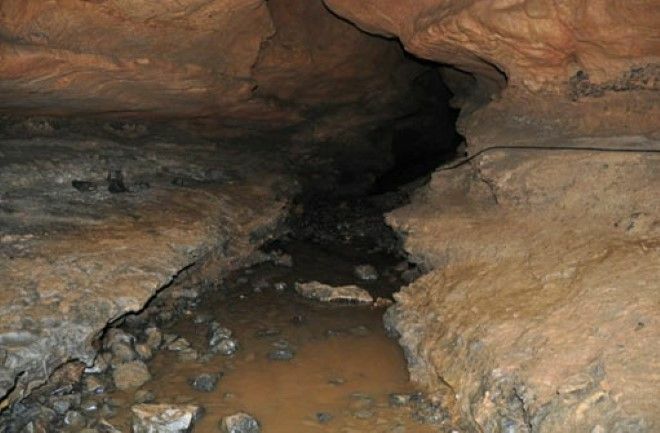 In an effort to conserve the footprints and information about them and to reanalyze them with modern techniques before they disappear for good, Ciur-Izbuc Cave was restudied in summer of 2012. Dr. David Webb, an anthropologist at Kutztown University, and the other study authors, now believe that the footprints are not 10,000 to 15,000 years old as previously thought, but could be up to 36,500 years old. The research team studied 25 percent of the footprints originally discovered, as this is all that currently remains. They discovered that there were cave bear bones buried just beneath some of the footprints. Radiocarbon testing on the bear bones revealed that the footprints are tens of thousands of years older than the initial estimate. Bear scratches on the cave walls. Image source. The results of the study reveal that the Romanian footprints are the oldest human footprints to be published in a peer-reviewed journal. However, a number of researchers believe they have found footprints that are much older. For instance, in 2011 scientists said human tracks at Tanzania’s Engare Sero site were 120,000 years old. Those findings have not been published yet in a peer-reviewed journal, and David Webb of Kutztown University in Pennsylvania believes this suggests a problem with footprint authenticity. Earlier this year, there was another significant footprint discovery – in a chance encounter, low sea tides caused by heavy storms washing away beach sand, exposed dozens of footprints on a beach in Norfolk, England, which were dated back an incredible 800,000 years. Described as ‘the most important discovery on British shores’, the footprints are believed to have been made by a human ancestor known as Homo antecessor.